By Adriana Keating, research scholar in the IIASA Risk and Resilience Program. People have been playing games for fun for many thousands of years. But recently some have been designed not to escape from reality, but to improve it. As the world is becoming more and more complex, and the future more and more uncertain, serious games can be used as innovative tools for learning, decision making, improving effective collaboration and developing strategies for success. With games, we can communicate complex realities and learn from our mistakes without costs. Systems thinking is required to tackle the challenge of managing both flood risk and development: to live in harmony with floods. Games provide the perfect avenue for exploring these challenges. Games that engage participants have been shown to be very successful and powerful dissemination instruments—with broader outreach than traditional reports. In a team made up of myself, Piotr Magnuszewski from the Water Program, Adam French from the Advanced Systems Analysis and Risk and Resilience Programs, and collaborators from the Zurich Flood Resilience Alliance, we have been developing a game that can help build flood resilience in developing countries. Because games are experienced as something that feels real, more information is retained, learning is faster, and an intuition is gained about how to make real decisions. 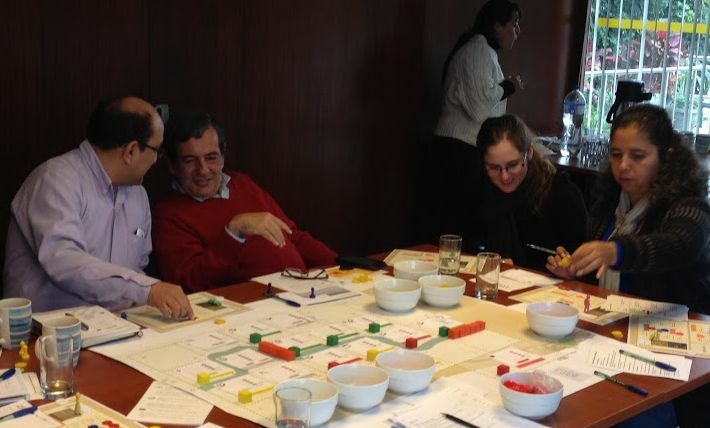 Critically, the IIASA Flood Resilience Game is designed to help participants— such as NGO staff working on flood-focused programs—to identify novel policies and strategies which improve flood resilience. In its current form it is a board-game played by at least eight players, who each take on a role as a member of a flood prone community. The direct interactions between players create a rich experience that can be discussed, analysed, and lead to concrete conclusions and actions. This allows players to explore vulnerabilities and capacities—citizens, local authorities and NGOs together—leading to an advanced understanding of interdependencies and the potential for working together. 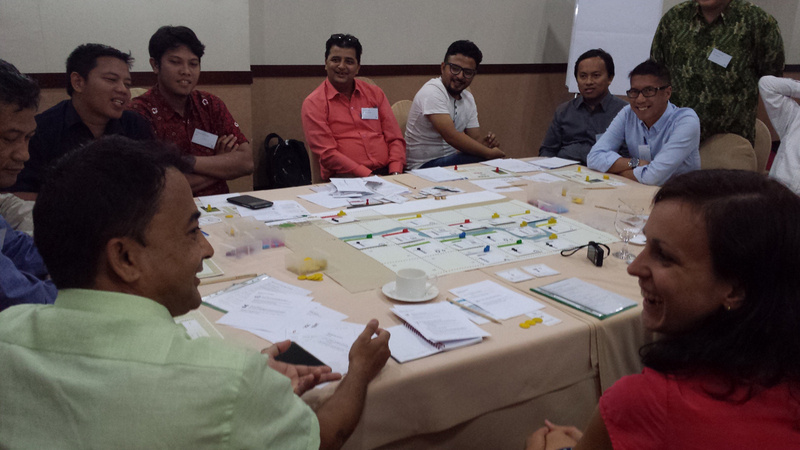 The game draws on IIASA research on the deep-seated challenges in the typical approach to flood risk management. It allows players to experience, explore, and learn about the flood risk and resilience of communities in river valleys. It lets them experience the effects on resilience of investments in different types of “capital”—such as financial, human, social, physical, and natural. The impacts of flood damage on housing and infrastructure are also an important part of the game, as well as indirect effects on livelihoods, markets, and quality of life. Players in Peru. © Adam French. Playing the game can also improve understanding of the influence of preparedness, response, reconstruction on flood resilience. Importantly, it demonstrates the benefits of investment in risk reduction before the flood strikes, such as via land use planning and flood proofing homes. The effects of institutional arrangements, such as communication between citizens and with government, also become clearer during the course of the game. Finally, participants can explore the complex outcomes on the economy, society and the environment from long-term development pathways. This highlights the types of decisions needed to avoid creating more flood risk in the future, incentivizing action before a flood through enhancing participatory decision-making. All these complex ideas are experienced with simple, concrete game elements that participants can connect with their daily realities. From a researcher’s perspective, observing game play deepens our understanding of stakeholder motivations in relation to flood resilience. The game also contributes to better understanding and use of IIASA research via the Zurich flood resilience measurement tool, a ground-breaking approach to resilience measurement. After several field tests in Jakarta and Lima with staff from the NGOs Practical Action, Red Cross Indonesia, the International Federation of Red Cross and Red Crescent Societies, Mercy Corp, Plan and Concern Worldwide, the game is now being refined. The next version will be released soon, and the possibility of a mobile application to allow players to handle more complex dynamics while interacting in the workshop is being explored. The game was developed in collaboration with the Centre for Systems Solutions, Poland, and with funding from the Zurich Flood Resilience Alliance.